Hackers are busy folks these days. It seems like every time you turn around, another corporate entity has had its website infiltrated. In some cases, the hackers are looking for trade secrets. Sometimes, they are mining the site to acquire the customers’ private data. A very handy way to breach your security is via a Wi-Fi link. 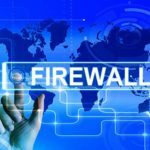 If you do not have a Houston managed IT services company handling your website and server, experienced hackers can easily slip past firewalls, find the programmer’s back door to the code or help themselves to sensitive data from employees who are logged in at the local coffee shop, motel or restaurant. Here are some steps that will help make your company’s website and server safer with more robust Houston network security. It is critical to lock down any potential weak links, especially on Wi-Fi routers and access points (APs). When that hardware is initially purchased, it is not secure. The first thing your IT department needs to do is enable encryption while they are being installed. If you do not, a passersby who are looking for free Wi-Fi could use your link to check their email or surf the web, which is disturbing but not disastrous. However, if you are unlucky, Wi-Fi invaders could gain access to your employees’ computer network and the files and passwords stored there. Employees often times send passwords to sites that do not require SSL encryption, including Facebook. Many identity thieves lurk in the shadows of Facebook, so it is important to secure your Wi-Fi routers and APs. You should also really tighten your server’s defenses using enterprise-mode WPA/WPA2 security. This may be harder to set up, but without such vigorous anti-hacking measures everything from your intellectual property, client data and bank account information might be exposed. Your website could be overtaken. Recovery would require the services of a Houston backup and disaster recovery team. Never use a single password and username for every employee of your company. If you do, you will need to change them every time an employee resigns or is fired. Otherwise, a spiteful employee could snoop on your employees just by logging onto the server. Encourage your employees to avoid free public Wi-Fi hotspots. Coffee shops are good at brewing coffee. Network security is not their main concern. Hackers exploit these soft targets in search of data stored on the laptops and tablets of the coffee shop’s customers. If your employees absolutely have to surf the web while enjoying their morning coffee, remind them not to enter any personal information, passwords or credit card information. Tell them not to log onto the company network, Facebook or their bank from an unsecure Wi-Fi hot spot. Make sure your employees close shared folders when they are on the road. While they are great for office use, you do not want guests staying in the same hotel to have access to your company’s files. You can also set up a virtual private network (VPN) to encrypt data going from your network to an employee’s remote computer. Even if a hacker intercepts the data, your information is safe because it is encrypted. Your server’s security is only as strong as the weakest link, which is frequently a Wi-Fi router or access point. A predatory hacker can attack your system if your security is not state of the art. Call NSC Information Technology Group at 713-974-3889 to discuss your system and how we could make it more secure. Our experienced, expertly trained technicians will make certain that your server is able to withstand whatever a hacker can throw at it.